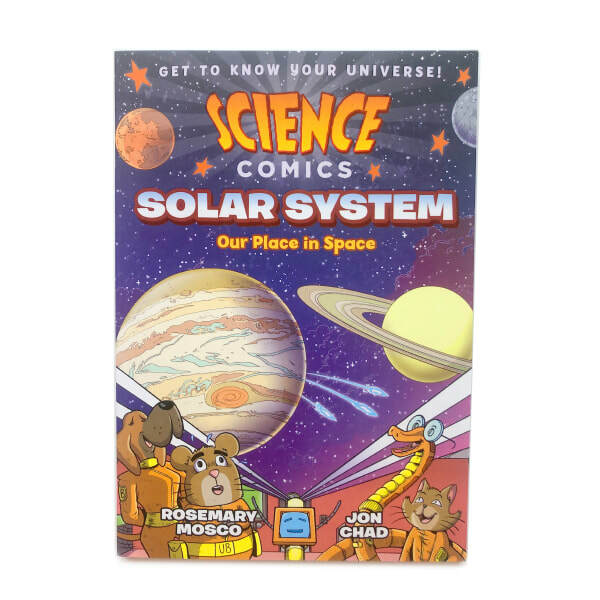 Solar System: Our Place in Space is the second book in First Second's Science Comics series I've worked on, and this one is (obviously) about our solar system! Written by the incomparable Rosemary Mosco, this book features a young girl named Sara who is pulled out of the doldrums of her boredom by her friend Jill. Jill who teaches Sara all about our AMAZING solar system with the help of their pets, who they imagine are astronauts! In Volcanoes: Fire and Life, a young girl named Aurora works with her siblings and her teacher to learn how to scrounge for fuel in a not-so-distant, frozen future. Aurora learns that the Earth is not a dead, cold hunk of dirt, but is instead a moving thing full of fire and life. 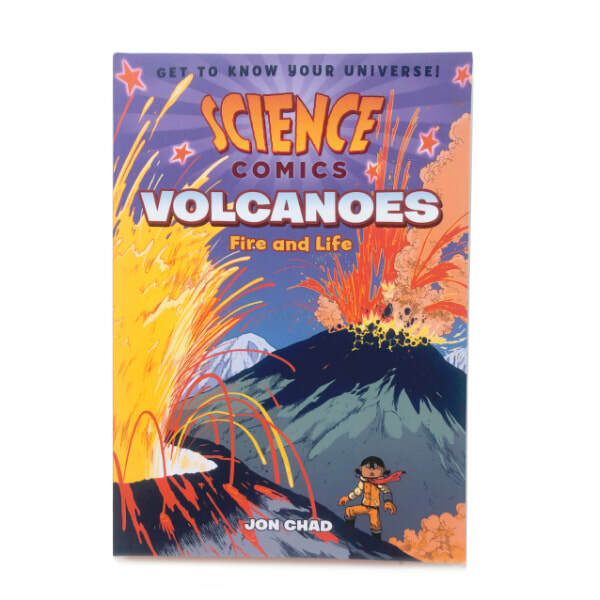 Aurora learns all about volcanoes, how they're formed, where they are formed, and what sort of material they erupt. I love using fiction as a vehicle to convey real and exciting science! 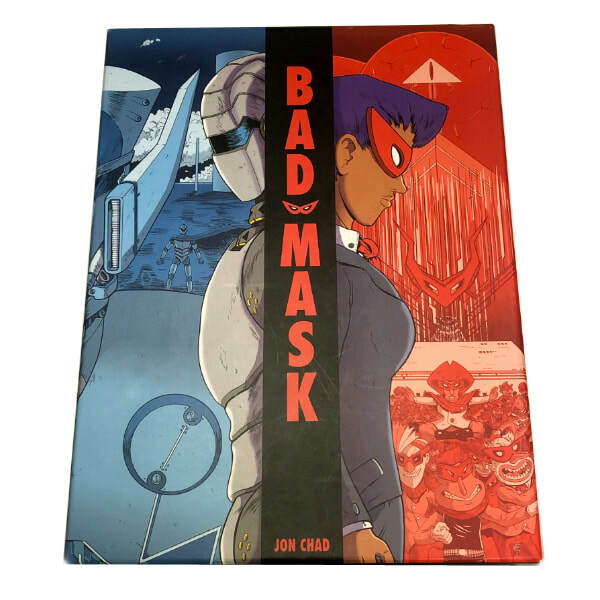 Bad Mask is a multi-format story that tells of how society is changed by the battle between Bad Mask, an evil international criminal organization, and Metal Metro, the super-intelligent and super-powerful robot built to defeat Bad Mask. The story is told through primary documents taken right from the world, including magazine, newspapers, case files, handbooks and even trading cards! How does the conflict between Bad Mask and Metal Metro affect politics? Finance? Popular culture? And is Metal Metro what it seems to be? Is Bad Mask? In 2010, cartoonist Alec Longstreth and I got OBSESSED with pinball! 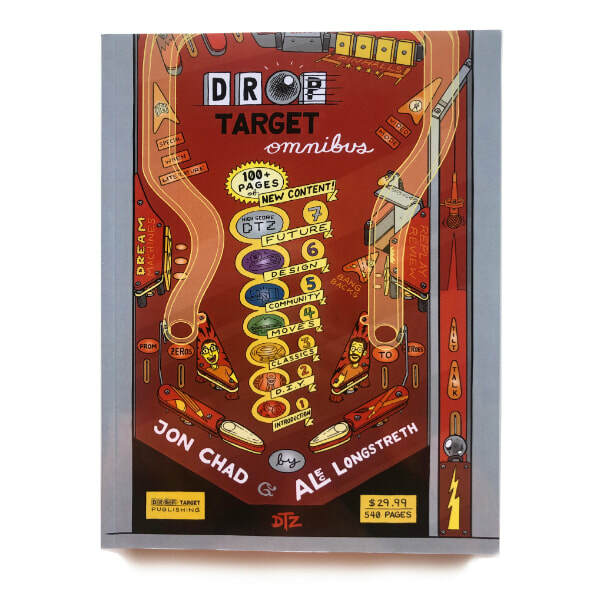 Over the next 4 years we put out seven issues of a fanzine all about pinball called Drop Target Zine. The zine included interviews, comics, illustrations, and reviews all about pinball. In 2017, we compiled all the issues of Drop Target into the 530-page Drop Target Omnibus with 100+ pages of new content! Leo Geo and his Miraculous Journey Through the Center of the Earth was the first book I wrote that was ever published. It started as a formal comics-making experiment to see if I could draw a continual comic with multiple moments on every page, but with no panel borders. 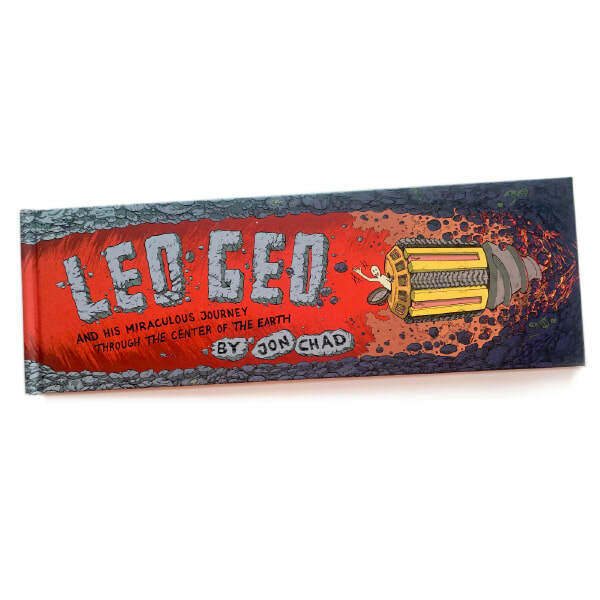 Leo Geo eventually morphed into a book about geology and the different layers of the earth, but it also catalyzed my interest in couching real science facts in a framework of fiction. 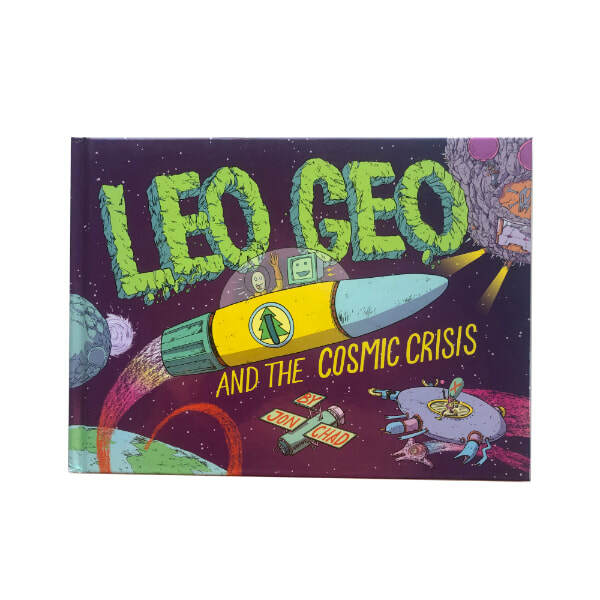 In my second Leo Geo book, Leo Geo and the Cosmic Crisis, Leo and his bother, Matt Data, simultaneously leave their space stations to help the other. Both run into trouble, espouse a lot about Astronomy, and use science to save the day. This book has two "front covers" with each story reading normally and meeting in the middle, while some elements weave through both parts.